Kim is fundamental to what we do in Kenya. Essentially, he is the man on the ground, our direct link with the whole Kwa Murugi community. Kim lives within the community, knows almost everyone, is loved by pretty much everyone and chats to most certainly everyone. He is an absolute star; someone with a passion to serve Jesus by serving his community. Kim keeps an eye on all the children we sponsor in schools and regularly meets with families within our scheme. He has an office in the community that he works from and some members of the community come to collect flour and maize each week. Kim is fundamental in helping to identify children or families in need of our support. 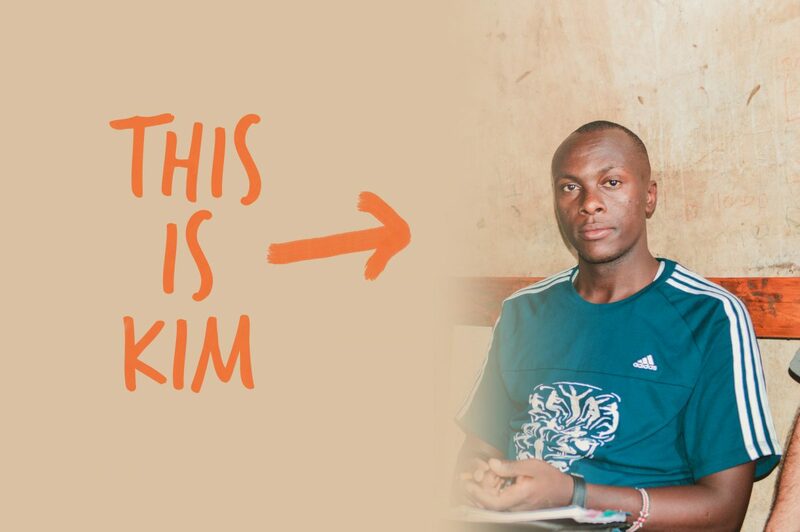 Without Kim, we could not do what we do, we are thankful that God had a plan to use Kim within this special community allowing us the privilege to partner with him. Kim has recently got married and now has the support of his wife Joyce to help him with his work.